This beautiful The Earth Cross Mirror features 4 animals on one side and powerful syllable with mirror on the reverse side. Those 4 animals are Ox, Dragon, Sheep and Dog, which are represent Earth Element, together to build a strong foundation for whatever you build, create or generate this year. 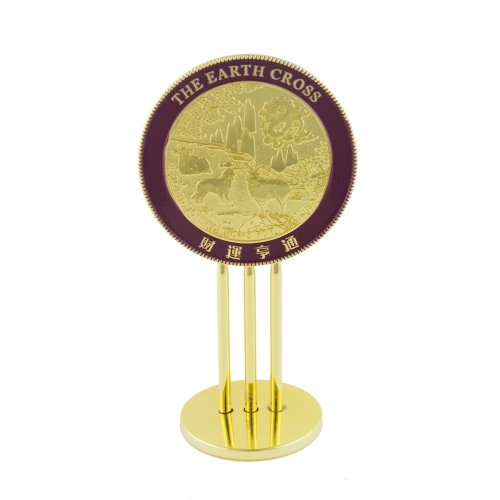 This feng shui 4 element cross mirror is very good for those who just begin his/her career or college. Whatever it is new, such as new relationship, new project or home, is highly recommended to display such mirror near you.